The Cygnus spacecraft’s solar arrays have deployed. The cargo ship will rendezvous with the International Space Station on Sunday, Oct. 23. It will be grappled at approximately 7:05 a.m. by Expedition 49 Flight Engineers Takuya Onishi of the Japan Aerospace Exploration Agency and Kate Rubins of NASA. After Cygnus’ capture, ground controllers will command the station’s arm to rotate and install it on the bottom of the station’s Unity module. It is scheduled depart the space station on Nov. 18. Saffire II, the second in a series of experiments to ignite and study a large-scale fire inside an empty Cygnus resupply vehicle after it leaves the space station and before it re-enters Earth’s atmosphere to improving understanding of fire growth in microgravity and safeguarding future space missions. Cool flames, an investigation into a phenomenon where some types of fuels initially burn very hot and then appear to go out — but actually continue to burn at a much lower temperature with no visible flames. Controlled Dynamics locker- equipment that can minimize fluctuations and disturbances in the microgravity environment that can occur onboard a moving spacecraft that can enable a new class of research experiments. NanoRacks Black Box- a platform that can provide advanced science capabilities and is specially designed for near-launch payload turnover of autonomous payloads including use of robotics, new automated MixStix and NanoLab-style research. 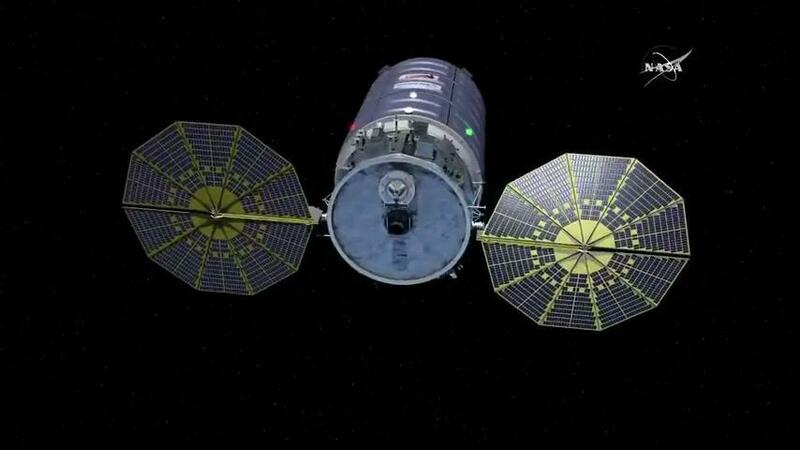 Why will it take Cygnus an entire week to dock with the station? Due to the close proximity of the Cygnus and Soyuz launches (two launches in less than 48 hours), mission managers have given priority to the arrival of the Expedition 49-50 crew aboard the Soyuz MS-02 spacecraft. The Cygnus resupply ship will wait to allow the Soyuz spacecraft to dock on Friday before it approaches the station on Sunday. I haven’t seen an update on this, is it still scheduled to depart 11/18? Thanks!